I'm fascinated by seasonal symmetries - for example, the time when spring days are the same length as autumn's. 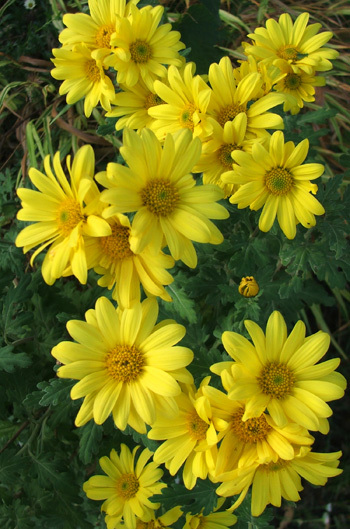 To deliberately balance spring's beautiful yellow daffodil flowers I grow yellow autumn Chrysanthemums near the house. 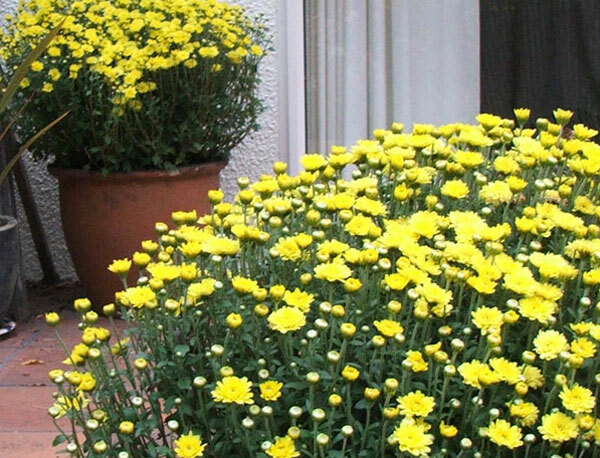 The yellow patio 'mums' are in large pots. I think they were intended to brighen up the inside of a house. But winter on my patio isn't extreme, and these 'mums' are tough and hardy enough to cope. So I have two round blobs of healthy yellow cheerfulness for me to enjoy from inside and outside the house in autumn. Thanks, girls! Another more leggy shaped yellow Chrysanthemum grows underneath the Big Gum tree in the house lawn. Now she is a proper garden mum, and some of her sisters are hidden around the back, behind my glass-house. 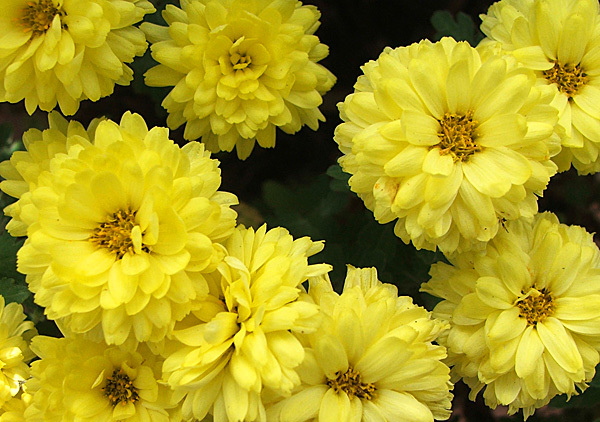 Her flower petals are longer and more elegant than the fluffy, slightly chubby patio mums. She's tall and flops all over her neighbours with extreme friendliness. In late autumn I adore these vibrant splashes of colour. Yippee for my yellow chrysanthemums - spring can't be too far away, and winter's usually a breeze (albeit a pretty cold one).